An effective way to safeguard your home or business and deter burglars is to have security lighting. Remember burglars do not want confrontations so they want to avoid homes or businesses that seem occupied. Over 2,000,000 homes and businesses are broken into each year in the United States alone! That equates to an invasion occurring every 13 seconds. Thieves target homes and businesses that seem unoccupied, with easy access and that have the best escape routes. Home and business security statistics reveal that burglars will usually bypass a house or business if it requires too much effort or one that potentially cause them to be caught. The ultimate goal of a burglar is to enter the home or business unnoticed so as to not be caught red-handed. Business owners as well as home owners in Cleveland and Northeast Ohio can make this selection process more difficult for thieves by taking a few simple precautions. An effective way to safeguard your home or business in Cleveland and deter burglars is to have security lighting. Remember burglars do not want confrontations so they want to avoid homes or businesses that seem occupied. Interior lighting is necessary to show signs of activity inside your facility or home. Placing your lights on timers can make your business or home appear occupied. Ideally you want to use timers on a daily basis. A business owner or home owner can negate the effectiveness of security lighting if your interior lighting is on all the time. You want to create the illusion of occupancy, so the timer should be set to simulate actual occupancy. Proper placement of outdoor lighting in and around your home and business in Cleveland and Northeast Ohio can also discourage intruders and help to keep your location safe. For businesses that means having a nicely lit parking lot. 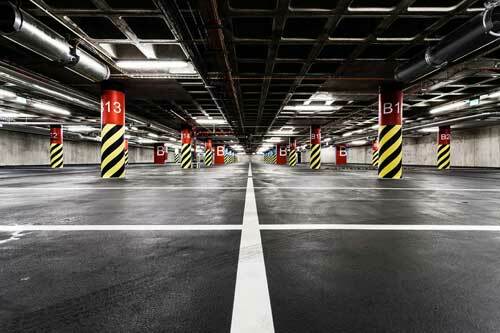 Parking lots that are lit help deter burglars as well as others who loiter. Prime locations to install or use security lighting are near the front and rear entrances of your home and business. You should also use security lights on timers for the rear of your facility. However, security lighting with motion-sensors installed at the rear of your home and business, in your driveway and around your garage are extremely effective. There are several types of security lighting on the market. 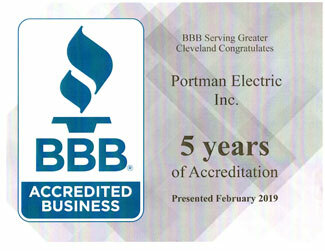 If you are overwhelmed with what type of security lighting systems would be best to protect your home or business, you can contact one of our licensed lighting professionals at Portman Electric. Inc. As Industrial and Electrical Contractors with over 25 years of experience we know what would be your best option and know how to install it safely and securely. We can help you to design and install the best plan to make your home and business one that burglars will cross off their list!